Python DB15HD (three rows of male pins) to 3 RCA male connectors. 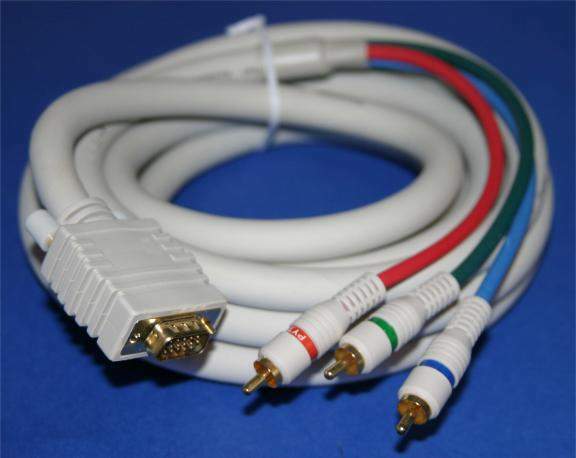 Quad Sheilded Cables with Molded on Ends. Signal Matching 75-ohm impedance. Excellent Signal Quality for precise Color Saturation and black Level.